The United Nations General Assembly (UNGA) adopted a resolution, co-sponsored by Pakistan, with an overwhelming majority declaring US President Donald Trump’s declaration of Jerusalem as Israel’s capital “null and void”, with a decisive vote of 128 to 9. There were 35 abstentions while twenty-one countries were absent. The adoption of this nonbinding resolution would neither force the US to reverse her decision, nor will it stop Israel from ending the illegal occupation of Jerusalem. But it has a symbolic importance for three counts; firstly, it diplomatically isolates the US and her blue-eyed boy, Israel as closest US allies to Britain, France, Germany and Japan voted for the resolution. 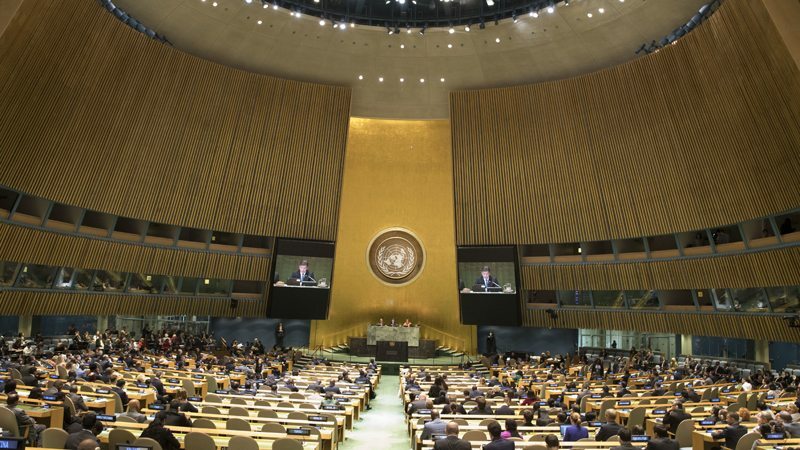 Secondly, the UN, an otherwise ineffective world body, showed some signs of life as the member countries voted against the US despite Trump’s threats to cut foreign aid for countries voting against the U.S. Thirdly, it showed the world the utmost disrespect US and Israel have for the UN as both outright rejected it using strong words. Earlier, the US vetoed a draft resolution in the United Nations Security Council (UNSC) which garnered the support of all fourteen members of the UNSC calling on US President Trump to withdraw the recognition of Jerusalem as Israel’s capital. Nikki Haley, US ambassador to the UN and the daughter of an Indian Sikh immigrant with a birth name as Nimrata Randahva, showed her arrogance and disrespect for the UN as she fiercely criticized it for having ‘disproportionate focus on Israel’. She also reminded the world of the U.S. being the ‘largest contributor to the United Nations and its agencies’ and its ‘obligation to demand more for our investment’. She also categorically stated that America will put their embassy in Jerusalem as if the move was confined only to the embassy shifting, while Trump had clearly recognized Jerusalem as Israel’s capital. It is likely, the overwhelming condemnation in the UN has forced this change in US stance. The US, once more, stood on the wrong side of history. The Founding Fathers of the US must be ashamed of the US standing with apartheid. The bullying of the US administration and Israel has pointed out the obvious weaknesses in the UN. The U.S. assertions clearly suggest she funds the UN in a bid to farther its geopolitical and geostrategic interests and safeguard Israel. The U.S. pays USD $10 billion annually to the UN giving her the leverage to do so. For an effective UN, the world must look for alternative funds to create parity. China, Iran, Russia and the world at large should understand there is no such thing as a free lunch. For a multipolar world with an international organization based on justice and equality, they will have to come forward to suggest ways to make the UN financially independent as a UN dependent on a single country will be used to serve imperialist designs. The restructuring of the UN is also paramount to making it a more democratic and just international organization that could resolve issues pertinent to world security, peace, progress and prosperity. The power of veto granted to the five permanent members of the United Nations Security Council should be abolished. This unjust privilege was the basic flaw in the League of Nations, UN’s predecessor origination and was embraced by the UN as it was influenced by the major powers. If all citizens stand equal in the eyes of law, all states must also be equal in the eyes of international law. The veto power undermines the majority decision and the role of UNGA as it happened recently against Trump’s Jerusalem move where the US exercised veto power. Russia and the U.S. are the two top users of the veto power. The numerous times the U.S. has used veto power against the UN resolution on Israel and has been a major obstacle to find a lasting solution to the Palestine issue. Still the question remains; will permanent members like China and Russia agree to abolish veto power? The regional approach and alternative platforms like the Shanghai Cooperation Organization (SCO), the Organization of Islamic Cooperation (OIC), and Non-Aligned Movement (NAM) can be made more potent for resolving regional and international issues, in case the UN remains under the imperialist influence. Pakistan must learn to live without US aid as it has already been reduced drastically and made conditional to compliance with ever increasing unjust demands to take action against certain militant groups. Donald Trump and Ambassador Haley have vowed to take punitive measures against countries who voted in favor of the resolution. And Pakistan have co-sponsored and supported the motion. Another round between the U.S. and Pakistan could be on the cards. The US-Pak bilateral ties may be at an all-time low as the Trump Administration continually threating Pakistan to ‘Do More’. The intimidation and coercion started with Trump’s announcing the new US security policy to South Asia and Afghanistan by ‘singling out’ Pakistan continues unabated. The US president and other key members of the US administration have continually threatened Pakistan. 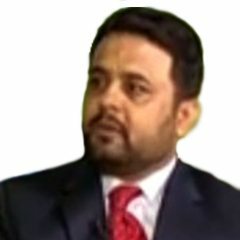 Mike Pence is the latest addition to the list of bullies coercing Pakistan as he informed ‘Pakistan has much to lose by harboring ‘criminals and terrorists’ and put ‘Pakistan on notice’ prompting a response from the Pakistani Foreign Office rightly saying, “Allies do not put each other on notice”. As the old adage goes ‘the enemy of my enemy is my friend’, Pakistan must use regional approach and forge an alliance with the countries who defy US hegemony as the current U.S. administration seems in no mode to amicably get along with Pakistan. Political and economic stability, self-reliance and unity among the state intuitions of Pakistan are prerequisites to deal with US arrogance.